Joining us today is Kathryn Finney, founder and managing director of DigitalUndivided (DID). 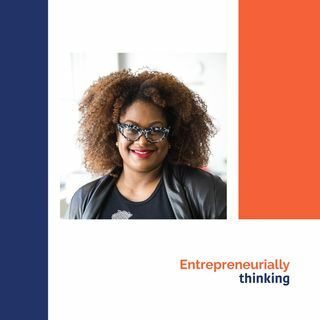 Founded in 2013, DID is a social enterprise that takes an innovative, transformative approach to economic empowerment by encouraging Black and Latina women to own their economic security through entrepreneurship. DID accomplishes this goal by boldly empowering Black and Latina women to think BIG through the BIG Innovation Center, a 4,000 square foot space located in downtown Atlanta and the BIG ... See More Incubator program for high growth companies led by Black and Latina women. DID has impacted over 2000 people and helped companies raise over $25 Million in Investment. How her dad, a senior system engineer at Microsoft introduced Kathryn to tech. Why Kathryn describes herself with the words Founder, Traveler and Innovator. When Kathryn became interested in social entrepreneurship. What was the genesis of The Budget Fashionista blog. How did Kathryn transition from hobby to business to exit. What is the FOCUS Fellowship and the BIG Innovation Center? What is a technology-enabled company? What did the #Project Diane research project tell us about the "real unicorns", Black and Latina entrepreneurs? What we can do to encourage Black and Latina entrepreneurs see the opportunities for themselves in tech vs. other types of entrepreneurship.